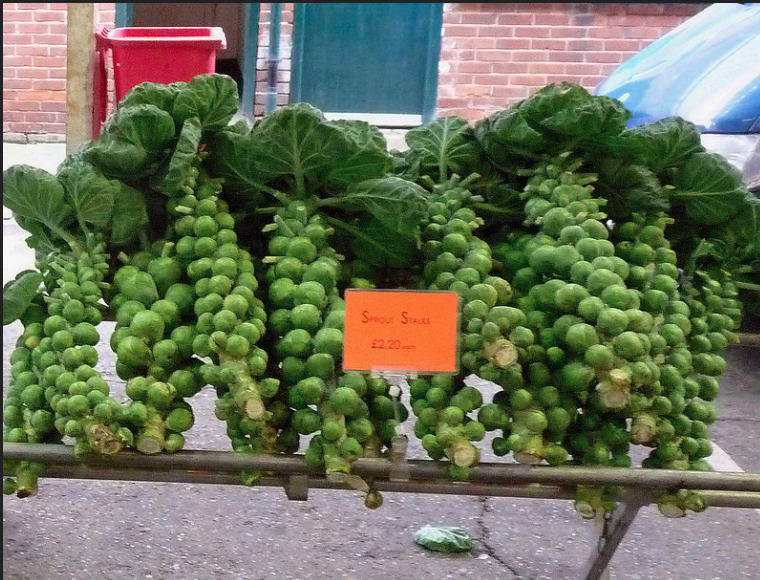 Whole roasted brussel sprouts on the stalk are a show stopper. This simple side dish makes a statement on the Thanksgiving table. 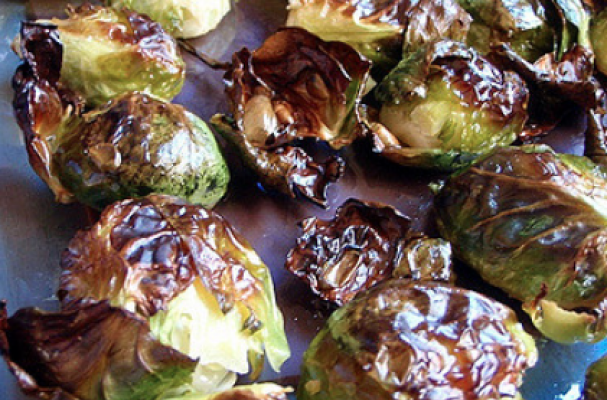 The sprouts are simply seasoned with olive oil, balsamic vinegar, shallot and garlic. When roasted, the tender leaves begin to caramelize and intensify the vegetable's natural sweetness. This stress free recipe makes for an easy addition to the Thanksgiving menu. Step 1: Preheat oven to 400 degrees Fahrenheit. Step 2: Trim the stalk and remove any loose leaves. You may half to cut the stalk in half to fit them on a sheet pan. Line a baking sheet with foil and place stalks on top. Step 3: In a small bowl, whisk together the shallot, garlic, vinegar and olive oil. Pour the marinade over the vegetables. Season with salt and pepper. Step 4: Roast shallots until they soften and the outer leaves begin to turn brown, approximately 30 to 40 minutes. Serve hot.